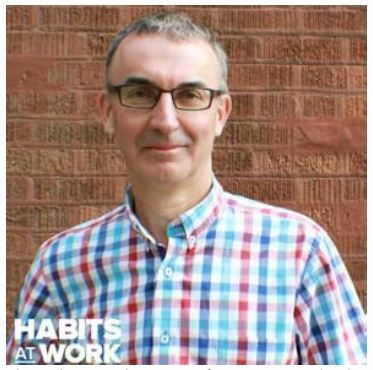 Since 2013, Colin has been the global consulting and actuarial lead at Habits at Work, based in the U.K. An actuary by profession, Colin has specialized in health and wellbeing since 1998, while maintaining an active interest in pensions and risk. Prior to joining Habits at Work, Colin was the global head of health & wellbeing at Aon Hewitt, and prior to that he ran Aon Hewitt’s Global Benefits team in the U.K. Although British, Colin likes to pretend to be South African, having spent 13 career-formative years based in Johannesburg. Colin prefers to take the path less travelled and has evolved to be one of the leading global wellbeing actuaries. Most recently he has been working with Andrew Sykes (president, Habits at Work) to break new ground on establishing reliable links between behavior, habits, health, and performance outcomes for individuals and the organizations they work for. His main passion is the objective evaluation and optimization of the Value of Investment of wellbeing interventions and strategies.